Katey Pigden rounds up some of the innovations water companies have developed to help deliver the resilience Ofwat wants to see in AMP7 and beyond. Resilience is far more than a buzz word for the water industry. Forming a major focus of the forthcoming price review, PR19, water companies are having to step up their efforts to demonstrate they understand what it takes to be resilient in the long-term. 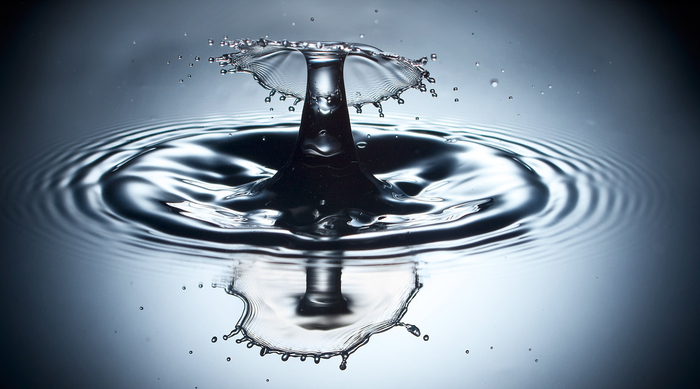 Although resilience is far from being a new requirement of water companies, the introduction of a formal resilience duty for Ofwat in the 2014 Water Act has led to an increased focus on the issue in PR19. Demonstrating this, Ofwat has broadened its interpretation of “resilience in the round” to include corporate and financial resilience, as well as the more established area of operational resilience. With regards to the latter, safeguarding water resources for future generations is likely to become the dominating factor in resilience schemes. A report from the Department for Business, Energy and Industrial Strategy highlighted the coming decade as a critical time for action in this regard, and water companies are becoming increasingly alert to the potential for climate change to radically alter current assumptions about the availability of water, as well as demand patterns from different user groups. Tackling this challenge via new approaches to operations and demand management is therefore essential and increasingly urgent. But keeping solutions within the bounds of affordability also remains an ever-present control factor. The upshot? Resilience needs innovation – and those companies that deliver it most effectively will reap rewards in the upcoming price control by impressing the regulator. Here, Utility Week reviews the activities of several water companies who have already shown themselves to be on the front foot when it comes to resilience innovation. From using satellites to detect leakage from space to getting communities involved in planting trees that guard against flooding, a whole host of schemes are being pushed forward to prove ambition and commitment to delivering the resilience Ofwat wants to see in the UK’s water sector. Northumbrian Water has devised a ‘Rainwise’ initiative, which aims to reduce the flood risk to customers who may not have flooded previously, but who the company believes could be in danger in the future. It includes an education campaign to ensure the public understand how they can impact flood risk in their own communities. The company says its approach has reduced the flood risk to more than 4,000 properties so far in AMP6. Richard Warneford, wastewater director at Northumbrian Water Group, explains: “Rainwise is a proactive and reactive initiative to reduce flood risk and influence customer behavioural change, aimed at increasing the resilience of our communities, reducing flooding through alleviating the pressure on our network. Incorporated in Rainwise is the Northumbria Integrated Drainage Partnership (NIDP). Northumbrian Water led the development of the NIDP, a regional partnership consisting of 13 lead local flood authorities and the Environment Agency. Northumbrian Water is developing a pipeline of integrated studies, which progress into proactive and reactive flood risk reduction schemes, prioritised regionally to maximise customer benefit. Northumbrian Water is also making better use of data and analytics to pre-empt incidents of pollution, while its Water Rangers are helping reduce water pollution across the North East as part of the company’s commitment to protecting the environment. It now has a team of 62 volunteers who monitor 56 routes across the region, ranging from 210 metres to 3.8 kilometres long. Severn Trent is trialling satellites as a new way to detect leakage in a bid to reduce leakage levels by 15 per cent. The company, which already uses drones to spot leaks from the air, said it is going a step further with its “leakage detection from space”. Severn Trent will be working with satellite communication company Rezatec, which analyses satellite data and imagery to monitor changes in the landscape near to the pipe. This includes changes to the vegetation, water content in soil, water accumulation and sub-centimetre ground movement, all of which help to identify potential leakage. The water company will also work with Utilis, using a Japanese satellite, 637km above the earth to identify fresh water leaks. It works by picking up a signature of longwave radiation of chlorine in water, tracking the “signature” of drinking water escaping into the ground. Severn Trent says the trials have identified “many points of interest”, which teams are then following up with onsite investigations. “Any leaks found are then planned in and fixed as soon as possible,” the company said. Stear adds: “We’re really excited to be working on this. Its early days so far, but it’s looking really promising. What’s really impressive is that we’re picking up leaks as small as boundary boxes and leaks on valves – something that is normally incredibly difficult to pinpoint. Southern Water has introduced an “ambitious” project called ‘Target 100’, which aims to help customers reduce daily water usage to 100 litres per person by 2040, from a current average of 130 litres per person per day. It recognises water companies play a crucial role in protecting, maintaining and improving the environment, but stresses climate change and an increasing population all contribute to greater pressures on vital water and wastewater services. Ian McAulay, chief executive, says: “Southern Water has already made great progress in helping our customers reduce the amount of water they use, which means we take less water from the environment. To achieve its Target 100 the company is working closely with planning authorities and house builders, embedding water sustainability into new homes and retrofitting properties with water efficient products as well as working on behaviour change awareness campaigns across the region. “Of course, we need to make sure water services are resilient- which is why we’ve commissioned a report that takes a detailed look at the future of water in the South East,” McAulay adds. “This research delves into emerging trends, disruptive technologies, cultural attitudes and large-scale challenges such as climate change to help the company develop flexible strategies to best meet these challenges. “Partnership is one of the most effective ways to ensure resilience and accelerate innovation. By working with councils and developers or joining forces with farmers, landowners and environmental organisations Southern Water can better manage, safeguard and enhance the water environment. Last year Welsh Water spent more than £7 million on innovations projects to improve services and lower customers’ bills. The company is addressing problems such as discolouration of water and blockages, which cause concern and upset for customers. To better understand why discoloration happens and to help reduce the risk of future occurrences, Welsh Water is involved with PODDS, an ongoing project with The University of Sheffield. The PODDS model, developed by the university, for the Prediction and Management of Discoloration in Distribution Systems, proposed a new concept for understanding discolouration in potable water networks. The project has investigated how increasing flows in the pipes in managed increments reduces the risk of discolouration. By slowly elevating the flow, accumulated material would be removed gradually, reducing discoloration risk in an unplanned flow event. This effectively ‘conditions’ the main, creating a self-cleansing pipe. The study investigated the turbidity response following elevations in flow from multiple field sites. Through real-time data, Welsh Water can see exactly what’s happening, when it happens on site, allowing the company to be more proactive to prevent discolouration for customers. The team at Welsh Water are using the learnings from the PODDS trial in their £130 million Zonal Studies programme which targets discoloration in affected communities. By highlighting sections of mains which require flow conditioning, the team can manage the condition of the main in the long-term. Welsh Water is also trying to better understand why blockages happen and the likelihood that they will occur. Blocked sewers cost the company more than £7 million a year to clear. Wessex Water says a good example of an innovation it is utilising to increase resilience is ‘The Optimiser’ – digital technology which manages the flow of water through the company’s new regional supply grid. Centrally controlling and monitoring the transfer of water along a new 74km trunk main, it is an automatic real-time closed loop optimisation system, which Wessex Water claims is a first in the UK. The water supply grid is the largest scheme ever undertaken by Wessex Water. It provides important infrastructure for the South West region with resilience connections to Bournemouth Water, Bristol Water and South West Water via Wimbleball reservoir. The £228 million programme of works has spanned two AMP periods between 2010 and 2017 and comprises more than 50 individual projects. The grid will meet the demand for water over the next 25 years while reducing water abstractions in areas of low river flows. In addition, the design and construction of the project has been carried out in a “sustainable manner” to preserve and enhance the sensitive environments in which it is located. The first of up to 200,000 trees were planted towards the end of October as part of the pilot landscape project, in a bid to slow the flow of flood water in the Calder Valley. The water company will also be working on leaky dams and the restoration of 43 hectares of blanket bog to the moorland to reduce the risk of flooding in places such as Todmorden, Mythmolroyd and Hebden Bridge. Alongside this landscape project, Yorkshire Water will trial a change in how some of the reservoirs above Hebden Bridge are managed this winter. This will involve reducing reservoir levels to allow for flood storage to determine whether a longer-term change to reservoir operation is possible. Above Todmorden, the landscape around Gorpley reservoir will be transformed with a natural flood management plan that will involve 7,500 trees and 3,500 hedge plants being planted this November with the help of local organisation, Treesponsibility. Other innovations the company is currently working on includes: trailing the use of 10 electrical operational fleet vehicles; anaerobic digestion optimisation; and applying integrated water/waste water systems. The company has also commenced a programme of work to demonstrate an Integrated Water, Waste and Resource System at its Esholt waste water treatment works in Bradford. “The programme will demonstrate the recovery and utilisation of resources from the waste water treatment process, developing mutually beneficial partnerships and maximising the value of redundant operational land,” Kershaw says.